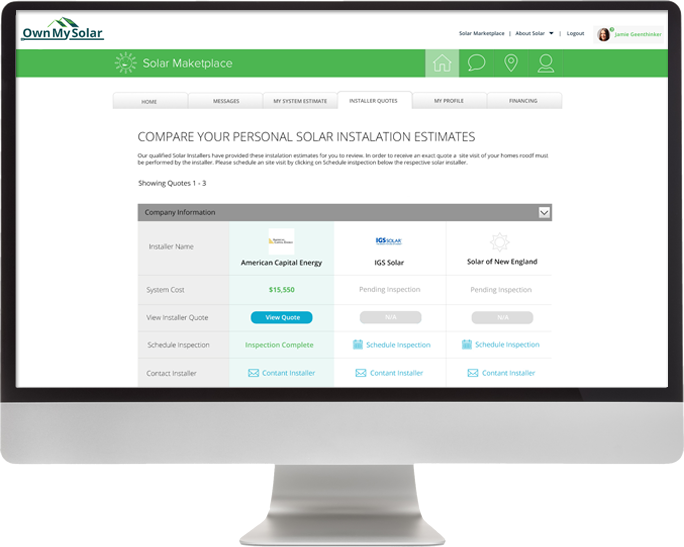 Create an Own My Solar account Register with us for free and get a zero obligation solar design in 24 hours. Installers compete for your business Installers bid on your design through our unique online auction, guaranteeing you the lowest price. 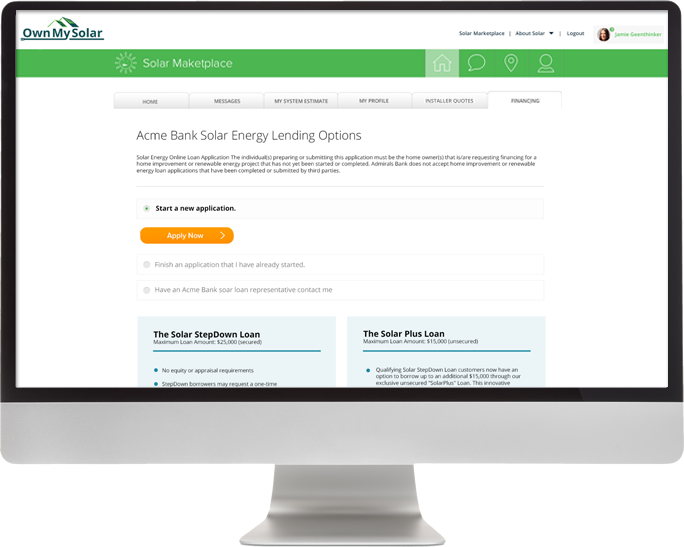 Finance your solar system Choose the best installer and explore financing options. As little as $0 down to get started! We make going solar easy. Get a free personalized solar design and competitive quotes from the best local installers. Solar can save you more than $1,000 a year in electricity costs-- that's more than $25,000 in savings over 25 years! Solar installations generally increase a home's value by more than the cost of installation itself. Turns out the best solar installers are often the ones that live and work in your neighborhood. The federal government will give you a tax credit for 30% of the cost of your solar system. States offer various incentives on top of that. Solar helps your family live a more sustainable lifestyle. Utility rates are likely to keep rising. Solar protects you from unexpected price increases. Or chat with us online! 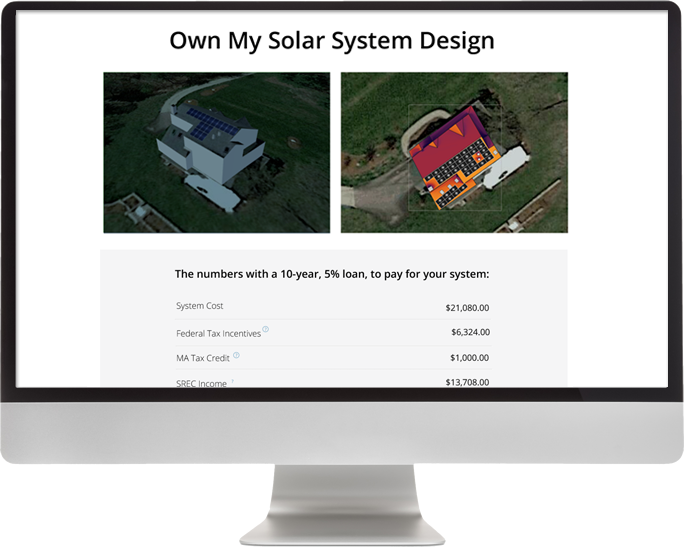 Get your free online solar design.